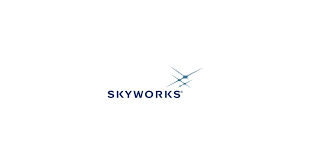 Skyworks Solutions Inc (NASDAQ: SWKS) stock rose 12.4% on Feb 6th, 2019 (as of 10:27 am GMT-5; Source: Google finance). SWKS has delivered gross margin of 51% and operating margin 36.7%. Operating expenses were $139 million or 14% of revenue, slightly below the guidance. The company has generated $356 million of operating income. First quarter effective tax rate was 9.7%, therefore the company reported the net income of $325 million. First fiscal quarter, cash flow from operations was a record $549 million and capital expenditures were $129 million, resulting in a strong free cash flow margin. During the quarter, SWKS had partnered with Square, a market leading mobile payment platform, powering their latest long range retail systems. And the company supported next generation high fidelity audio solutions for Bose enabled by Alexa voice controls. Further, the company have ramped advanced wireless engine supporting Phillips end-to-end street light management platforms. And across the infrastructure space, the company have secured a number of massive MIMO wins with leading base station providers as they prepare for the ramp to 5G. Across automotive, the company has reported next generation telematics solutions for leading German and Korean manufacturers. SWKS in the first quarter of FY 19 has reported the adjusted earnings per share of $1.83, missing the analysts’ estimates for the adjusted earnings per share of $1.84. The company had reported the adjusted revenue growth of 7.6 percent to $972 million in the first quarter of FY 19, missing the analysts’ estimates for revenue of $975.1 billion. SWKS has paid $67 million in dividends and repurchased a record high of 4 million shares of the common stock for a total of 284 million, and the company ended the quarter with a cash balance of 1.1 billion and no debt. Skyworks Board of Directors has also authorized a new $2 billion stock repurchase program. For the second quarter ending in April, Skyworks expects its per-share earnings to be $1.43. Analysts surveyed by Zacks had forecast adjusted earnings per share of $1.52. The company said it expects revenue in the range of $800 million to $820 million for the fiscal second quarter. Analysts surveyed by Zacks had expected revenue of $856.9 million. The company expect gross margin to be between 50.5% and 51%, which is flat year over year at the midpoint of the range despite lower year over year revenue. The company expects roughly $3 million another income and an effective tax rate of 10%. The company expects the diluted share count to be approximately 175.5 million shares.